Regatta registration is limited to 70 boats total (Women+Juniors+Masters). As of 7/26/18 we have 69 registrants. Come Sail with the Largest Lightning Fleet - in the World! Amazing Midwest Hospitality and Great Food! 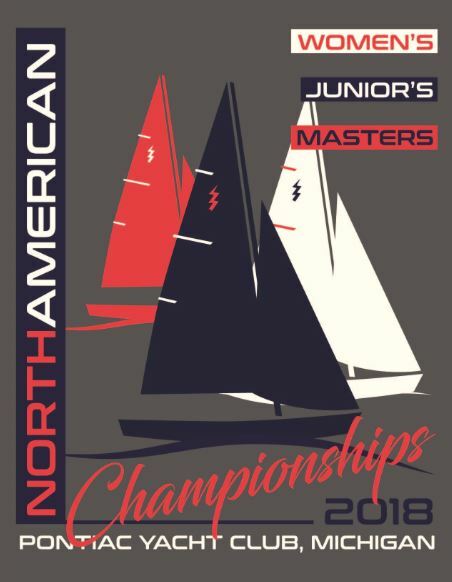 On behalf of Pontiac Yacht Club, welcome to the 2018 International Lightning Class Association Women’s, Juniors’ and Masters’ North American Championship. As the home of the largest Lightning fleet in the world, we are proud to host this prestigious regatta and are pulling out all the stops to make this a memorable event for all those who attend … and a sail bag full of remorse for all those who don’t! If you’re looking for an alternative to long slogs through a confused three-foot chop on your way up a 1.5 mile windward leg while you contend with tidal currents and dodge barges and container ships, well, the 2018 WJMs may just afford you the change you’re looking for! Salt-free Cass Lake has never had a single shark attack, red tide, jellyfish, kelp or algae bloom. Come experience the flat (fast), crystal clear water, with a moderate breeze and just enough oscillations and persistent shifts to put a premium on tactical decision making. We welcome all qualifying participants to this year’s WJM NA Championships. But we want to particularly reach out to junior teams across North America. At PYC we have seen the many benefits that our vibrant junior sailing program brings to our club and we want to encourage junior sailing however we can. To that end, our club members and educational foundation have teamed together to sponsor the first 20 junior teams to register for the regatta. Their regatta registration fee will be covered. Please help us by encouraging any rising junior sailors to make the effort to join us this year. 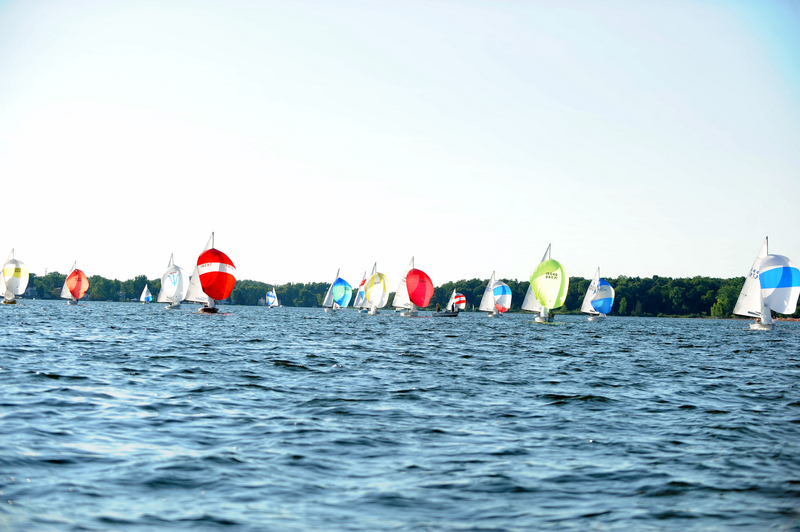 PYC has placed a request with the powers that be for fair winds and sunny skies during the regatta. We have arranged for professional race management, have upgraded our race equipment and club facilities, and are ready to host an outstanding sailing regatta. But we also know that what happens off the water can be the icing on the cake for a great sailing experience. You can expect great food, daily social activities, plenty of refreshments (are you familiar with Michigan’s vibrant craft beer industry?) and a number of entertainment options for your shoreside enjoyment. Through the various links on the website you should find all the information you need to plan your trip: the Notice of Regatta, a detailed daily schedule, information on the racing venue and club facilities, housing information for hotels, campgrounds and private homes, charter boat contacts, and of course a link to the online registration system. If you have any questions not answered here, please feel free to contact me directly per the information below, I will be more than happy to answer your questions and fill in any blanks.